Nurse Practitioners and Physician Assistants depend upon The Clinical Advisor for latest information on diagnosing, treating, managing, and preventing medical conditions typically seen in the office-based primary-care setting. Order today and receive direct access to our journal, plus online references that help you make the most out of your subscription. Don’t Miss Out – Keep The Clinical Advisor Coming with Auto-Renew. YES! I want an easy way to keep The Clinical Advisor up-to-date - sign me up for auto-renew so I don't miss an issue. 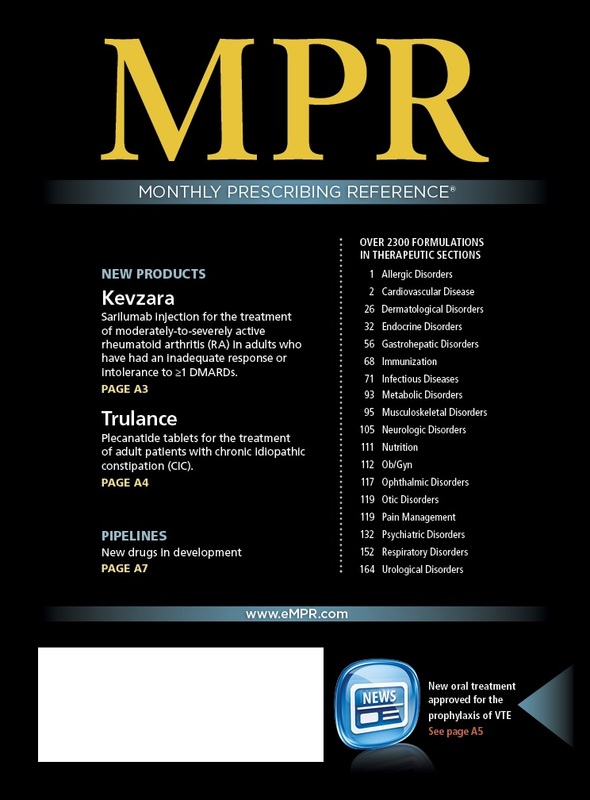 Add a subscription of MPR to your order! Order now and receive an annual subscription for ONLY $98—that's 65% off our usual rate! Avoid costly mistakes when writing scripts. Join the 750,000 healthcare professionals who use MPR, the most concise drug reference guide in print, to ensure their scripts are accurate. With MPR, you have prescription accuracy at your fingertips. Yes, please add the Monthly Prescribing Reference to my order. You get access to our monthly newsletter delivering the latest dermatologic photo slideshows from Clinical Advisor. Read clinical descriptions, view images and then make the diagnosis using our online poll. Sign up today, test your diagnostic skills and see how you compare with your peers. The Clinical Advisor’s Update newsletter rotates topics such as: Spotlight on diseases, Legal News, News highlights, Medical slideshows, Blogs on clinical topics, and CME/CE articles. YES! I want to receive the above publications included with my subscription.